OUR NEW BRAVO 335 FULLY ASSEMBLED BBC HEADS. FOR USE WITH SOLID ROLLER, (MECHANICAL ROLLER) CAMS UP TO 750 LIFT. 124cc COMBUSTION CHAMBERS 335cc runners. We also have these heads set up for use with hyd. roller and hyd. flat tappet cams. See our other listings for # BRAVO-274 for the hyd. roller cams, and Bravo-272 for the hyd. flat tappet cams. Much of the info below pertains to these heads being set up with hyd. roller cams. The heads offered in this ad are for a solid roller cam setup. 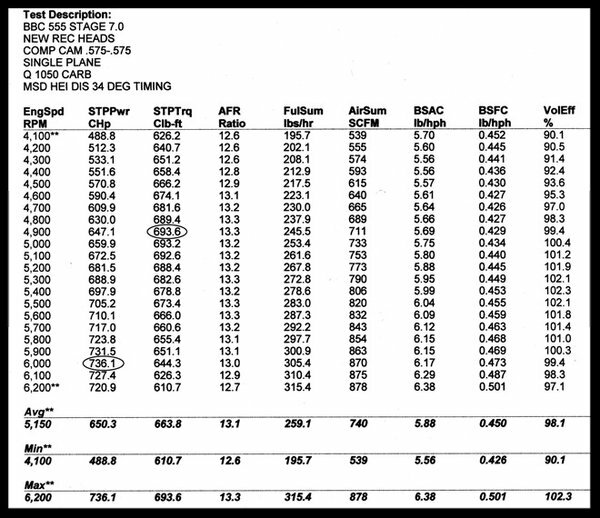 The info below is just to give you an idea of how well these heads performed with cams that were not a solid roller. We will soon have some dyno results on engines using these heads with a mechanical roller cam. The Bravo 335 bbc rectangular port heads are perfect for 454, 496, 540 and 572 street/strip engines. These are what we now use on our 505, 555 and 572 bbc engines. 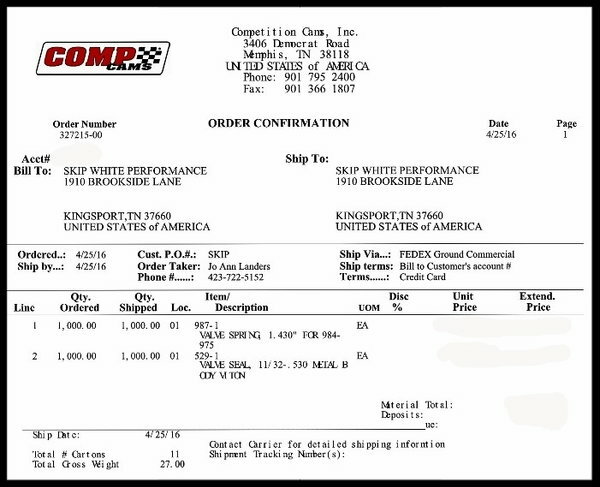 They produced 735 hp with our Comp 575 lift hyd. roller cam and single plane intake manifold on pump gas. We're estimating approximately 650 hp in a 496 build with the same mid size cam. None of the low cost bbc heads on the market have this performance that we know of. Fully built, ready to install. The heads in this ad are setup for solid roller cams only. Pictured below is the intake port view. We certainly know where to draw the line with low end products, and we continue to eliminate parts that we once accepted but for various reasons no longer carry. Sometimes it's not that a particular product has had a problem that leads to its elimination; something better just comes along. The Bravo 335 cylinder heads are that "something better" coming along. 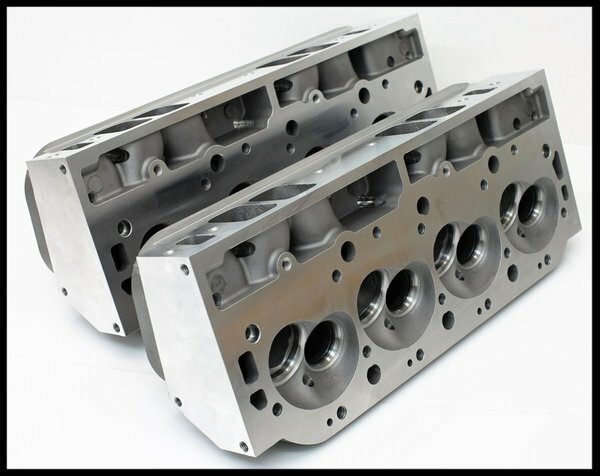 Considering the price is only slightly higher than our former line of heads, this has to be the best value in a set of cylinder heads we have ever offered. We now use the Bravo 335 heads on all of our 496/505, 540/555 and 572, engines. The performance has been outstanding on every combination we have tried them on. In the rare event you have issues with these heads, the problem will be addressed. So far problems have been near non-existent. These heads have been on the market for some time. They have been used by various engine builders for some time. We have complete top end hardware kits available for the Bravo 335 heads in our other listings. The kit has the correct head and intake gaskets, head bolts with special washers, and stainless intake bolts. The part number is TEK-1017-1275, or any TEK kit that has the 1275 part number in it. The first number is the type of head gaskets, and we have several different head gaskets that will work with the Bravo 335 heads. 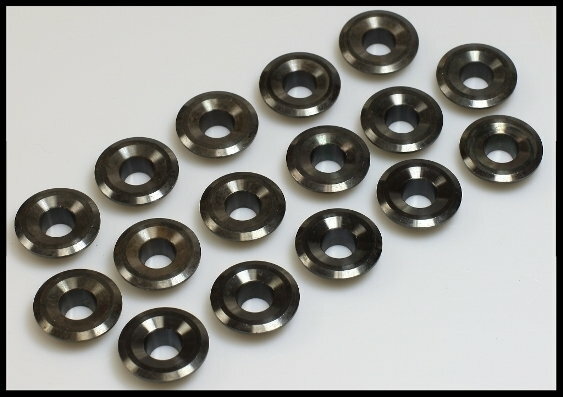 The 1275 is the intake gasket part number, and that is mandatory for use with these heads. In the lower section of this ad, you will find valuable information on how these heads perform when used with various engine sizes and cam combinations in street rod form. Please read the complete ad before purchasing. Fully assembled with premium PBM race grade valves, comp springs, Comp retainers, Comp viton valve seals, Comp spring ID locators, Comp 10 degree locks. The hardware setup in these heads is for use with solid roller cams. Below is a detailed breakdown of the hardware used in these heads. We do offer these heads set up for all types of cams. See our other listings. Pictured below in the first picture is our new Bravo 335 combustion chamber. In the second picture below are our former line of Procomp heads. There is a vast difference in design. The new Bravo 335 heads are not associated with Procomp in any way. Notice the multi angle valve seat cut. These heads are designed to very high standards. The Bravo 335 heads pictured above are designed much like the high end heads on the market. Pictured below are the Bravo 335 heads in bare form to give you a view of them without the hardware from a different angle. The heads in this sale will be fully assembled. There is a vast amount of low grade hardware on the market at this time. Much of this no-name hardware is completely out of spec, and made from inferior materials. It will fail sooner or later, but prior to it failing, this garbage hardware will perform poorly. Many of the low priced heads on the market have such hardware in them. It's not enough to ask them what brand hardware they use because it would be impossible for you to distinguish it from one brand or the other by simply looking at it. 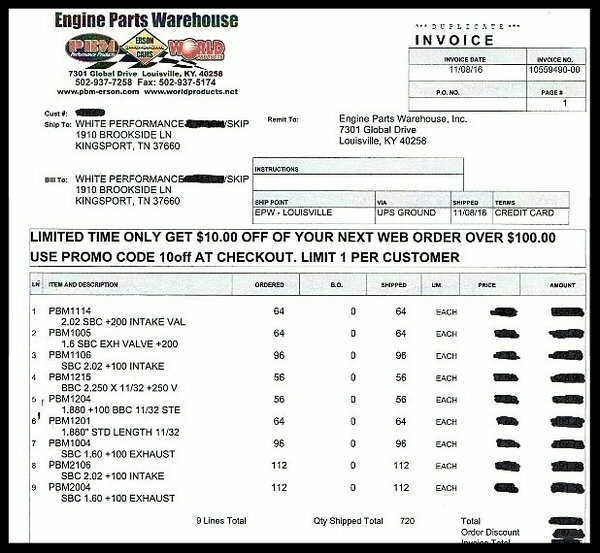 The best we can do to prove what hardware were using in our heads is to post our invoices from the branded name companies that we purchase it from. Our invoices will show huge purchases of every bit of hardware used in these heads. 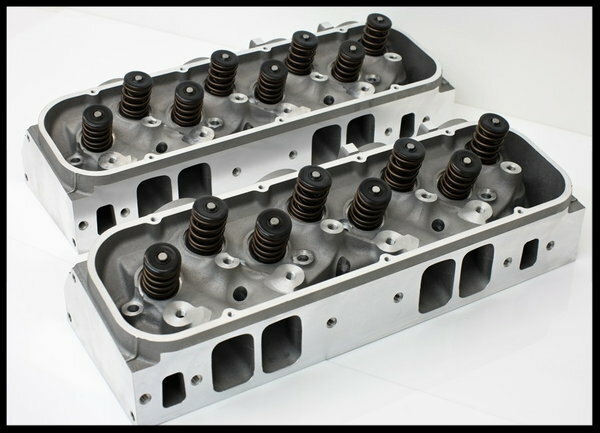 High grade hardware is nearly double the cost, but we know for a fact that this is very important for the performance and longevity of a set of cylinder heads. Consider what happens should an engine drop a valve into the combustion chamber at any rpm. Complete destruction of a large portion of the engine is a great possibility. That's a worst case scenario, but there are many other problems such as poor performance and damage to cam and lifters that can occur. 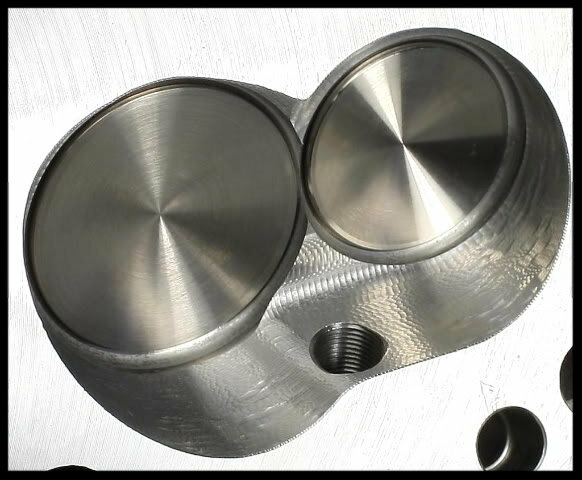 These are true multi-purpose heads for street, drag race, and power boat applications. 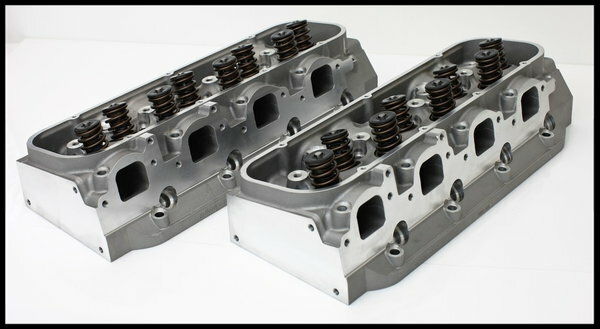 This set is an excellent upgrade over OEM cast iron heads on your big block engine. We honestly feel there is not a better set of heads for the price. These heads are tried and proven. The intake runner volume is 335cc, and the combustion chambers are 124cc. We also offer these heads in bare form, as many customers have selected a machine shop of theirf choice, as well as their own hardware. We hope you will check out our other listings for the many other items we have available. 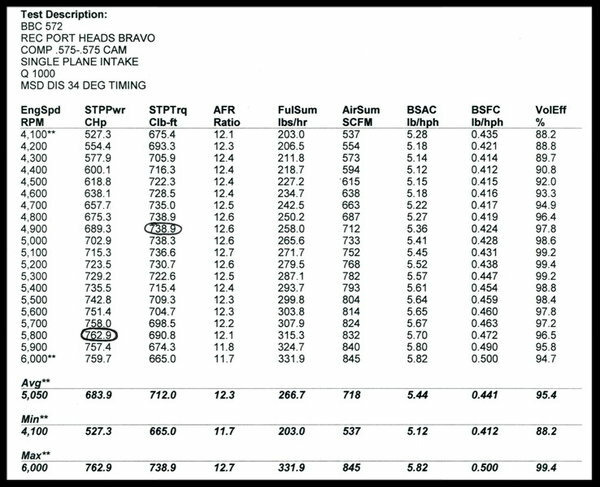 Below are the actual flow numbers for the Bravo heads. These numbers are true and accurate. The testing methods we use are considered to be on the conservative side. Some choose to show flow numbers for their heads that have been done in a way that shows numbers that are misleading in our opinion. Rather than base a set of heads on flow numbers, you would be much better looking at the horse power numbers they make, providing the dyno numbers are true. We use the Bravo heads on most all of our bbc engines builds all the way up to the 572 engine. The horse power numbers they produce are exceptional as compared to any of the low to mid range priced heads on the market. We have yet to have one customer complain about these heads not making the power they expected or the build quality, and hardware used. Here is a rundown on the hardware used in the Bravo 335 heads and the assembly process. Pictured below on the left is the PBM competition valve, and the other pic. is of our conventional style valve. It was difficult to show the back-cut feature in the picture, but note that the valve on the left has a third radius cut. We are now using the Competition Series PBM valves in all of our engines. 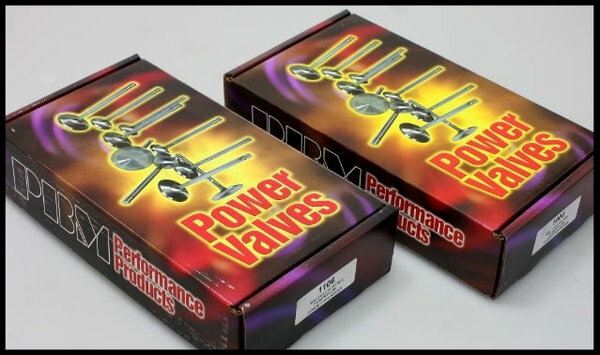 These are considered a high end valve. These valves have an undercut and backcut feature. The backcut feature reduces valve weight by an average of 12.5 grams per valve. This weight reduction of approx. 220 grams off the complete set of valves has a monumental effect on acceleration, deceleration, and valve train life. It may be difficult to understand how this works, but rest assured, this is a huge reduction. The valve spring compression and rebound action will remain stable for a much longer time running lighter weight valves, as well as reducing valve float. These valve springs have a flat ribbon internal damper, with a dual inner spring. 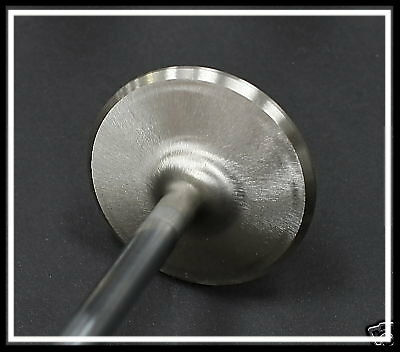 The internal damper is very effective in calming spring harmonics at high rpm, and offering greater overall stability to the outer spring. These springs are for use with a solid roller camshaft. Made in the USA by Comp Cams. 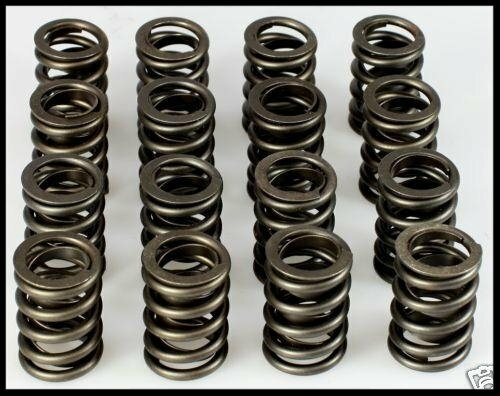 See our other listings for a full selection of valve springs. We now use these springs in all our engines. Most low cost valve springs are inferior to these, in our opinion. Ratings are usually inaccurate, and quality is compromised. Power loss will result from springs that have taken set, become lazy, as it may be called, much like the springs in a worn mattress. Low grade springs are notorious for loosing their vibrancy much sooner than a high quality spring. One more problem with such springs is that they are very prone to contributing to valve float at high rpm. If your springs are not quick and at the proper lb. rating, then they not only have trouble closing the valve, they also tend to cause the lifter to bounce at the peak point of the cam lobe. Springs that are rated too low are sure to cause power loss irrespective of wear. 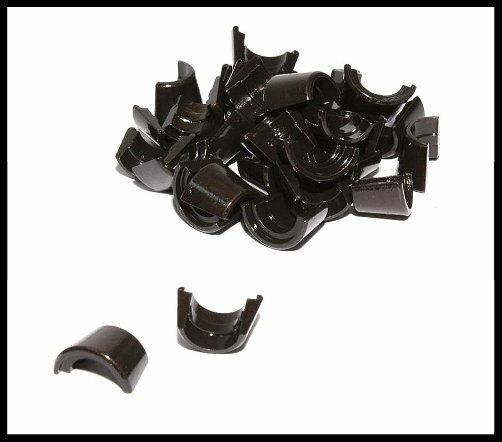 Our Comp Cams retainers # 741-16 and Comp spring cups are made from 4130 chromoly steel. These retainers have a perfect fit with the Comp valve locks. We have used these on all of our engines for many years, and have had zero failures. Below is an excerpt from our bbc engine and cam ad that uses the Bravo heads. This can give you an idea of what these heads are capable of on a common bbc pump gas engine build, set up to run on pump gas, with a compression ratio of approx. 10.1:1 These cams have been very popular for us, and are perfect for most bbc builds. We have sold many engines with these heads. 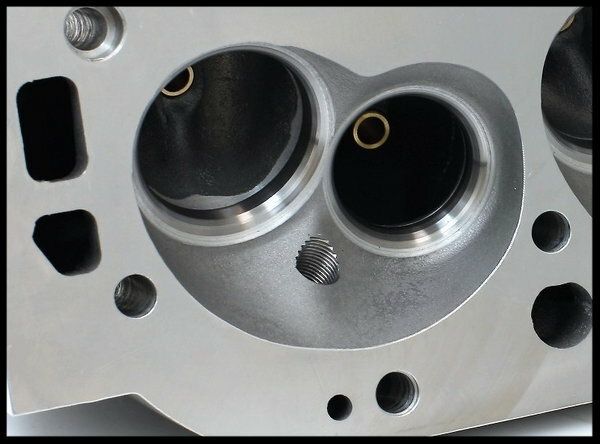 These heads coupled with a single plane intake have shown to make up to 736 horse power at 5900 rpm on a pump gas 555 engine with 10.1:1 compression ratio, using a new special custom grind cam that is only 575 lift. We do realize the heads in this add are for a solid roller cam. We do not have any dyno results on the heads with this type cam. 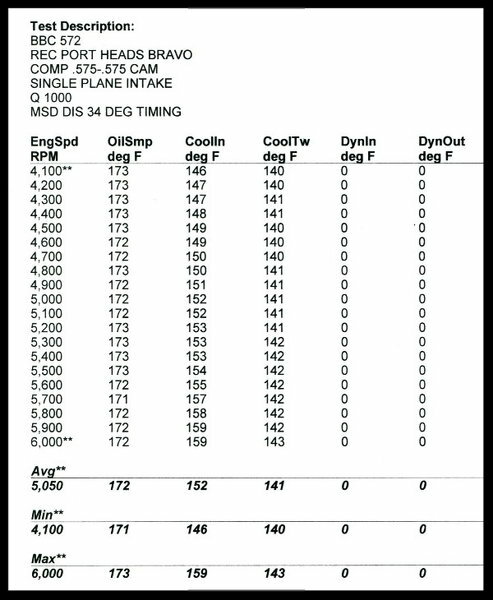 The dyno results below were with a hyd. roller cam setup. This can give you an idea of how well these heads perform. This recent testing we have done with our special grind cams has proven that the Bravo 335 heads have the ability to make huge horse power numbers with the use of streetable cams, and safe compression ratios for use with pump gas. We recommend checking out our BBC engine ads for the full story on what to expect from these heads. We now use the Bravo 335 heads on all of our 496/505 and 540/555 engines. 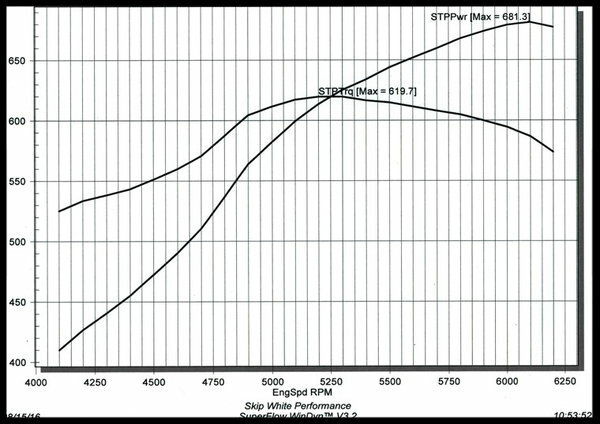 The 496/505 street rod dyno results are amazing. This cam is our most popular choice for our street rod bbc engine builds. Comp Cams 'Xtreme Marine & Auto' Step Nose Hydraulic Roller Camshafts. This cam is one of our official cam choices in our line of bbc engines. It is the perfect size to offer the best balance of power while putting a relatively low amount of stress on the valve train. 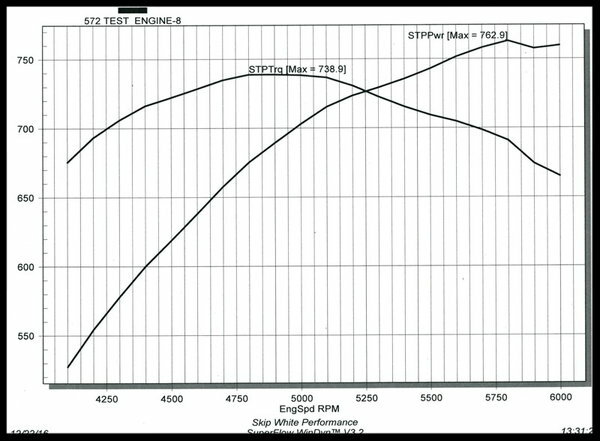 This profile is somewhat easy on the valve train, it makes a great amount of overall power on bbc street rods. This cam is suitable on 496 bbc engines or larger. It's has a very aggressive nature in the 454 sized engines and would require around 11:1 or higher compression ratio, but becomes more manageable in the 496 or larger builds. Compression ratio in a 496 engine build would need to be 10.5:1 or higher to yield decent results. This cam would be considered outstanding in a 540 and up to a 572 street rod build. 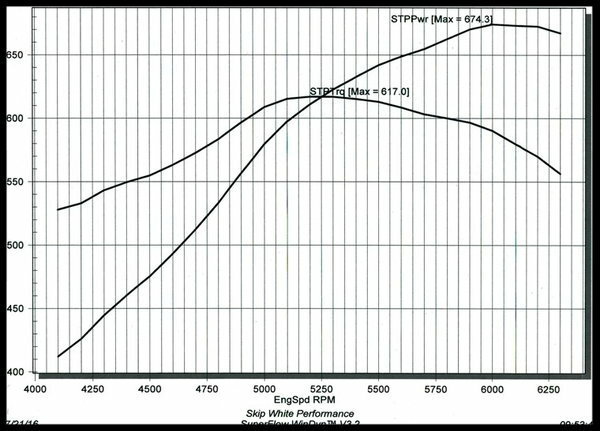 10.2:1 compression ratio or more would be all that is needed to obtain great results on these engines in a street rod. This cam has a very unique profile. Our former cam used in our 555 engine was nearly identical in lift and duration and had a 110 lobe sep, and it made approx. 35 hp less on every combo we ran it on. Our new Comp cam is setup with a 112 lobe sep, yet still makes so much more power, and with the 112 lobe sep, creates a safer setup overall for the engine than a 110 lobe sep. This is an amazing cam in every respect. 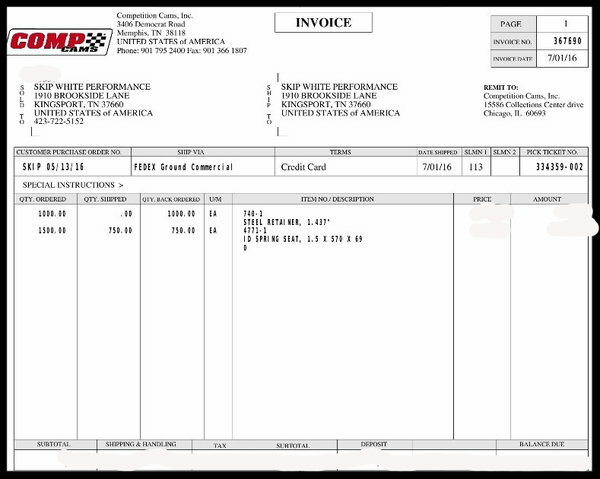 As you may know, there are many aspects to a cam's profile besides lift, duration and lobe sep. and Comp Cams has produced an excellent cam that works very well in all bbc street rods. We're going to list below our actual dyno results on every size of bbc engine we have dynoed with this cam. We have used it in at least 600 bbc engines, from a 496 up to our 632 in the past couple years. Of the three Comp Cams we use, this is our most popular by far. We offer two more amazing Comp cam profiles that we're very proud of. For those running the smaller bbc engines or lower than normal compression ratio, we recommend our cam one size down for improved low end response. If you're building a 454/468 engine, this cam would be considered slightly aggressive, and would require compression ratio numbers in the low to mid 11's to operate well. For those building a 496 or larger and want the very best mid to top end power available in a hydraulic roller without having to spend huge amounts of money to stabilize the valve train, then this cam is the perfect choice for you. This cam will allow safe operation of the valve train without spending a huge amount of money on valve train components. It's not going to give any problems in the long run if you're running decent hardware and lifters. You must run a higher than normal grade lifter such as our Max Effort Series. This increased lift and duration will bring the spring pressures up on the nose somewhat high, and that's desirable to maintain valve train stability. 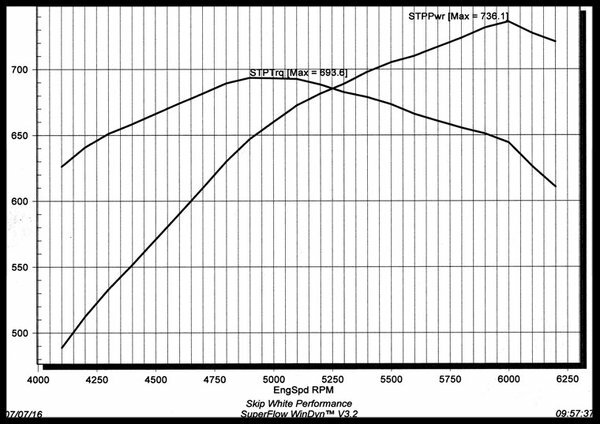 A solid 45-50 horsepower gain over the Procomp 320 bbc heads, all things equal. Actually all things were not equal. The New Bravo 335 heads have 124cc combustion chambers, versus the Procomps 119. The compression ratio of this engine was down a good notch, yet still made nearly 50 hp more over the Procomp heads. 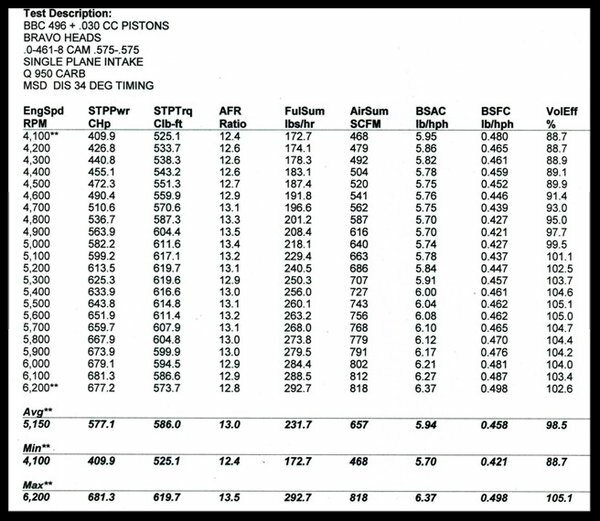 Official Dyno report on our 496/505 engine with cam choice # 1 and a single plane intake, runs on pump gas. 674 hp with our new Bravo 335 heads is outstanding. This 496/505 engine only had approx. 9.85:1 compression ratio. Normally we run right at 10.3:1 Our hp numbers would have been higher for certain had we had the compression ratio in the higher zone. We fee this to be the perfect street rod head and cam combination for the popular 496 engine build, and will operate on pump gas with ease. We would like to see the compression on the 496 builds at 10.3:1 or more. We know the heads and cam are capable of producing more power had this particular engine had a bit more compression. 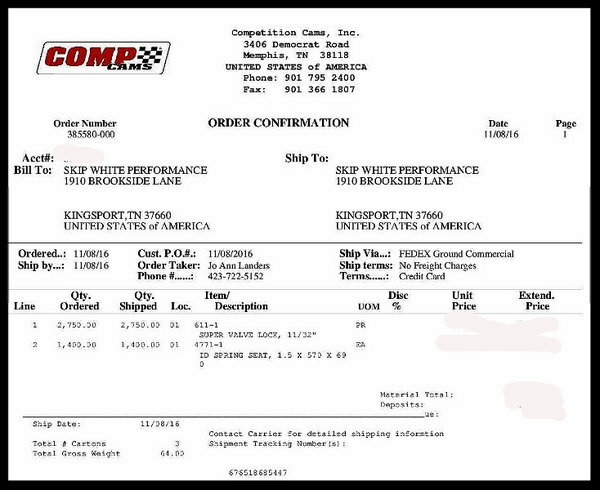 Official Dyno report on our 496 engine with this cam choice 1, Bravo heads, and a single plane intake. 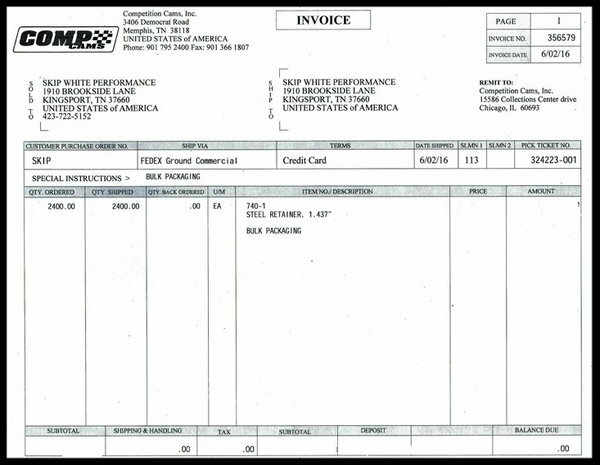 Intake Gasket: Felpro 1275 For rectangular port heads. These intake gaskets have a glove like fit on the Bravo 335 heads. 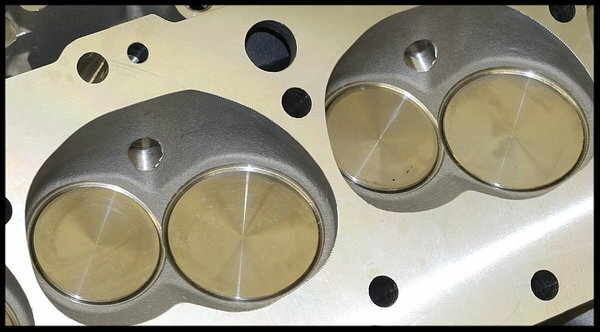 Head Gasket: Felpro 1017-1 for Mark IV & VI blocks, or our PC-5211 MLS head gaskets. 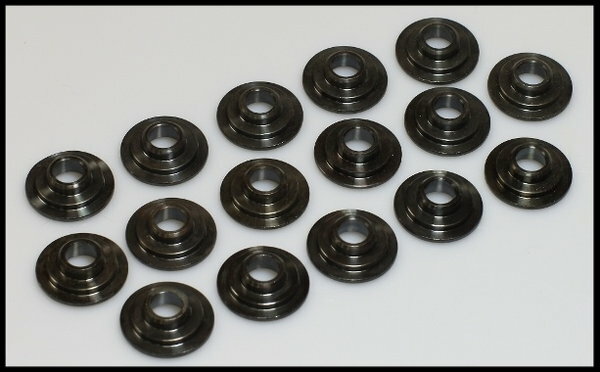 Head bolts: BBC-50 Head bolts, or ARP 135-3607 Head bolts or our BBC-75 Head stud kits. Manifold: Most any oval or rectangular port style intake will work. Push Rod length: 8.850" intake side, 7.800" exhaust side. We have the correct pushrods needed. See our other listings. 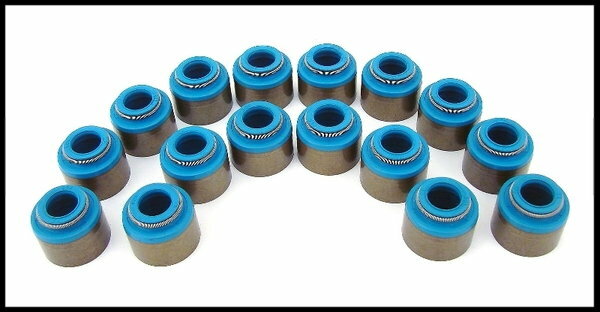 Springs: 1.540 outer diameter. Single spring for solid roller cams. Valve Length: .100 over intake valves, std length exhaust valves.